Like NKR, ArmeniaNow is itself developing. Next week, you will find a new design on these pages – part of our overall desire to improve the way we put information on your screen. We will soon (in July) celebrate two years of training and producing a style of journalism that previously had existed only in theory in Armenia. Over the past 22 months we have worked with and trained some 25 journalists. In addition to the staff of local reporters whose work you read weekly here, ArmeniaNow has also helped to train journalists from Moldova, Georgia, Kyrgyzstan and South Ossetia. We were born and are maintained by sponsors who believe in our goals. Through their generosity, 91 editions of the Internet journal have been published, free to readers and media outlets, and now reach more than 10,000 visitors per week plus reprints in local and Diaspora publications. We wish to remain free to readers and to encourage many more to log on to what we do so that people can get good, accurate, interesting information about life in Armenia, wherever in the world they live. But we also need to begin paying our way, just as any other publication in the world. Beginning next week then, we will be seeking contributions from readers to support the work of ArmeniaNow. This is not a subscription – you will still be able to read all of the material on the site for free if you choose. But we hope that you appreciate ArmeniaNow’s reporting enough to want to help to secure its continued existence as an independent publication. We have so much faith in you, our readers, that we have set ourselves a target to persuade 3,000 of you to give $50. That is, one reader in three is willing to support our work over the next year by making a contribution of $50 to ArmeniaNow, less than a dollar a week. If you wish to give more, it will be very welcome. Our aim is to put ArmeniaNow’s future in the hands of its readers, where it properly belongs, and to see it progress because you believe it offers something valuable to your week. As a further incentive, we intend to commit the first $5,000 raised to establishing a permanent ArmeniaNow bureau in Karabakh. Our hope is to mark our second anniversary by announcing that we are able to set up the first western-style newsroom to operate from Stepanakert. ArmeniaNow will use your donation to create an office in Stepanakert, train local journalists in the methods of independent media, and employ a correspondent dedicated to reporting news specifically about Karabakh. 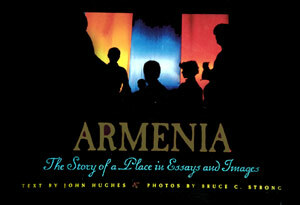 As a thank-you from us, the first 50 readers who make a donation of at least $100 will receive a free copy of John Hughes’ book “Armenia: The Story of a Place in Essays and Images”. Please include with your donation a mailing address where the book (a $50 value) will be shipped, also free of charge, courtesy of Harvest Gallery in Glendale, California. Finally: As we acknowledge the 10 th anniversary of ceasefire, it is our hope that we might soon report a settlement, followed by many years of peaceful growth for all the nations involved.